Thetis Bringing Armor to Achilles. 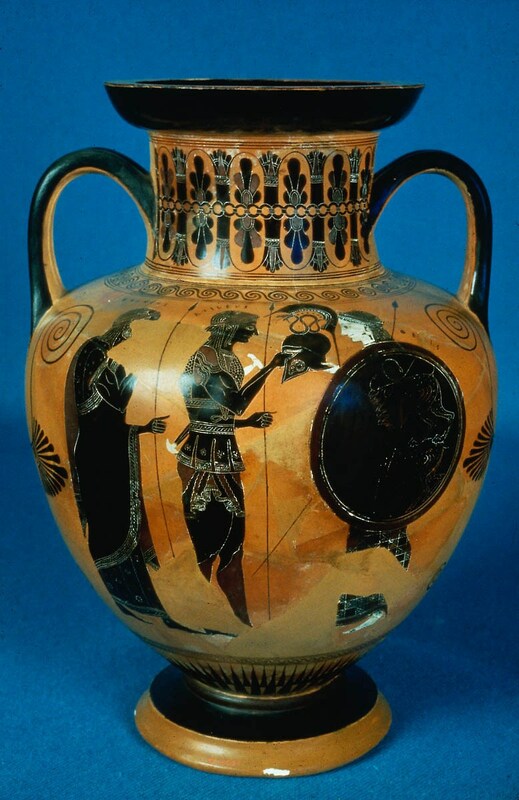 Attic Black-figure Amphora by the Amasis Painter, ca. 520-515 BCE.